Is this your next challenge in emergency care? On average, the retrieval team carries out two primary retrievals a day – either by car or helicopter. While transferring critically unwell patients to specialist facilities often involves cutting-edge technologies and transport, core nursing skills can be the key to making a difference. 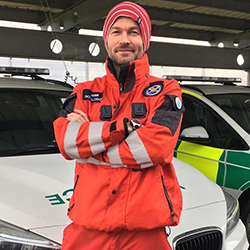 ‘Showing empathy is so important,’ says Jimmi Ronaldson, an advanced retrieval practitioner with the Emergency Medical Retrieval Service (EMRS), part of the Scottish Ambulance Service. 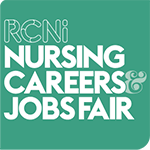 Mr Ronaldson trained as a mental health nurse, qualifying in 2000, then converted to adult general nursing, working in a busy inner-city emergency department for a decade from 2003. After completing his emergency nurse practitioner training and qualifying as a non-medical prescriber, he was keen to embrace the next challenge and jumped at the chance of a six-month secondment to the EMRS. A second secondment followed, and the post became permanent in 2015. ‘I wanted to push the boundaries,’ says Mr Ronaldson, who is one of three nurses in a team of eight advanced retrieval practitioners. The rest of the team have a paramedic background. In practice, he works as part of a two-person team, supporting an experienced consultant whose background may be in intensive care, anaesthesia or emergency medicine. On average, the team carries out two primary retrievals each day. 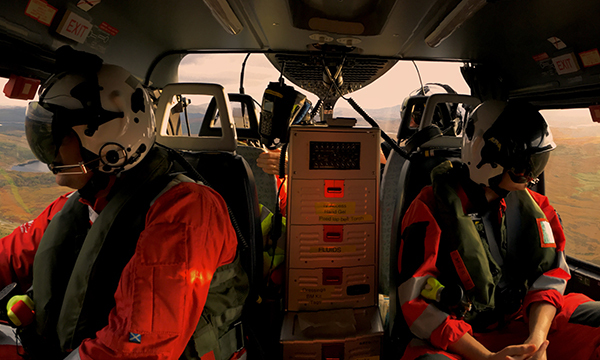 This involves providing advanced care for any major trauma patients on the west or south of Scotland, using a car or helicopter based at Glasgow airport. In addition, they will perform one secondary retrieval, supporting patients who need to be moved to a different healthcare setting for a higher level of care, often from remote and rural locations including local hospitals and GP surgeries. The majority are ventilated and may have cardiovascular issues or sepsis, for example. Collecting these patients can involve travelling by helicopter, plane, ferry or even lifeboat. It’s often a highly charged atmosphere – something Mr Ronaldson thrives on. ‘Performing under stress is interesting,’ he says. ‘Looking after those who are critically unwell is always challenging but, in this role, you have the added demands of the environment. Communication is another crucial skill, he says. ‘Once you have the theory, interpersonal skills and good communication are essential. You also need to know your own limitations and be able to be flexible. Interested in pre-hospital trauma care or helicopter critical care? Having come from an emergency care background, Mr Ronaldson relishes being able to concentrate on helping individuals and their families. ‘The emergency department can be a factory,’ he says. ‘Here you only have one patient to look after at a time, so you can really give the time and service to that person. ‘You go into nursing to show your empathy and be able to look after people. You can really do that in this job. ‘You may be moving people away from their island to the big city. They’re leaving their support network behind and you may well be taking them from somewhere they’ve never left before. Newcomers receive a comprehensive induction to the various aspects of the role. For Mr Ronaldson, this included a diploma in retrieval and transfer medicine provided by the Royal College of Surgeons of Edinburgh.